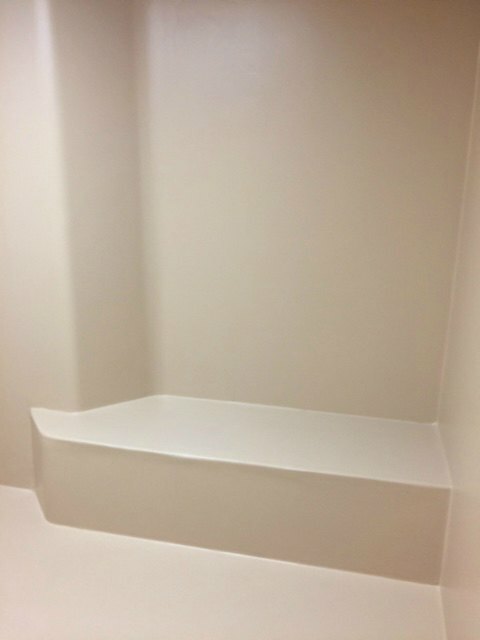 Are you in need of a padded room to ensure the safety of patients and staff in your healthcare facility? Gold Medal Safety Padding has been successfully used in numerous Healthcare Facilities in the US, Europe, and Australia within their Psychiatric Departments, Emergency Rooms, and Detox Departments or facilities. Not only does quality safety padding from Gold Medal help reduce a facility’s potential liability from patients but it can also decrease the number of Worker’s Compensation claims. And remember – Gold Medal Safety Padding is the only product on the market that provides repair kits for on-site usage by your staff! Why are Gold Medal Safety rooms the most common type of padded rooms installed? Class A Fire Rated and Self-extinguishing, as demonstrated by extensive fire testing. Virtually indestructible, withstanding attempts to rip, gouge, or otherwise damage. In the unlikely event our product is damaged, our repair kits are easy enough to use that your staff can the repair without hiring a contractor. Seam free since the padding material is uniform and smooth, with no cracks or open seams. Non-slip, the surface is smooth and virtually fungus resistant but it does not create a fall hazard. Compatible with your floor. A bond coat is used to completely ensure compatibility with the existing floor. Scuff resistant since the resinous coating is naturally scuff-resistant and long lasting. Can be installed in any existing room or be included in new construction. Assures the protection of individuals with the propensity to inflect self-harm, violent detainees and drug and alcohol influenced patients and inmates. Our product has been used throughout the world for over 40 years and continues to be the most popular product for padded safety rooms in the countries we serve. If you are ready for more information on how we can help you with safety padding, please contact us online or by phone at 239-303-7378 (USA), or 416-572-7753 (Canada). To learn more about Gold Medal Safety Products, please call 239-303-7378 in the USA, 416-572-7753 in Canada, or reach out online. What is the purpose of a Padded Room in Healthcare Facilities? Padded Safety Rooms are also known as quiet rooms, calming rooms, de-escalation rooms, cool down rooms or seclusion rooms. These rooms are used to create an environment completely removed from outside distractions, facilitating deep relaxation and/or contemplation within a safe environment. These rooms are typically equipped with floor and wall padding and can also involve impact-absorbing floor tiles and other safety features. We also design custom padding for sensory rooms, which in some cases involve more complex design features, such as soft-play equipment, interactive programming, lighting, audio, etc. 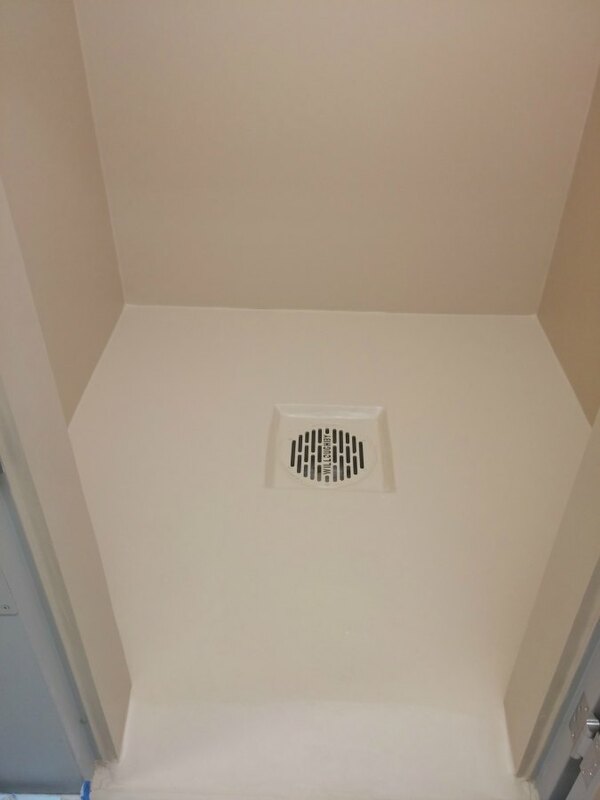 Sometimes a padded room is the most caring option for the patient and staff, and if that is the case, the responsible choice is to provide a padded safety room as an option. Especially when patients become a danger to staff through aggressive or violent behavior (i.e. some detox situations), a padded safety room is a much better option for both the patient and staff than going to an extreme that could pose harm to the patient or the staff. Does My Healthcare Facility Need a Padded Room for Safety? With the advent of many new medications and techniques to help patients, are padded rooms in healthcare facilities still necessary? That is a great question. 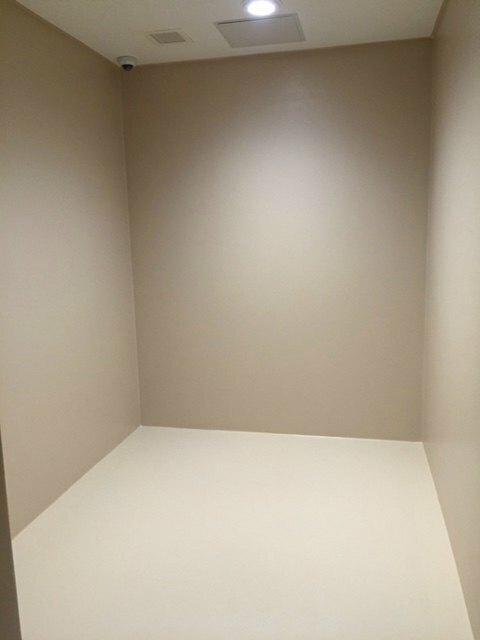 While medication and techniques have greatly reduced the need for padded safety rooms, sometimes a safety room is the best option for the patient and staff. In general, you want to use a padded safety room if other less aggressive de-escalation and other preventive strategies have failed and there remains the immediate potential for harm to the patient or other people. We also like the terms “de-escalation room” or “calming room” for padded safety rooms because ultimately, what we all want is to have patients calm enough where there is no danger to the patient or staff. In other words, padded safety rooms should be seen as one of the tools in your de-escalation toolbox. All tools should only be used for its intended use. Padded rooms should never be used as punishment, to create unnecessary mental or physical suffering, or to establish dominance. 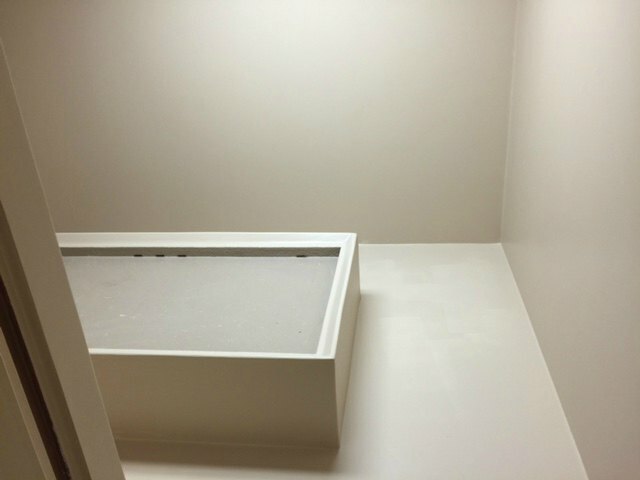 A padded safety room is meant for SAFETY of patients and staff. Any tool in the medical industry can be mis-used and it is important medical facility administrators create clear and appropriate guidelines of how to utilize a padded safety room for the good of all involved as well as enforce those guidelines. The tool used is proportionate to the risk and potential seriousness of harm (you don’t use a 5-pound sledge hammer for putting a small nail in your wall). The tool used takes into account the patient’s physical health, degree of frailty, and developmental age. 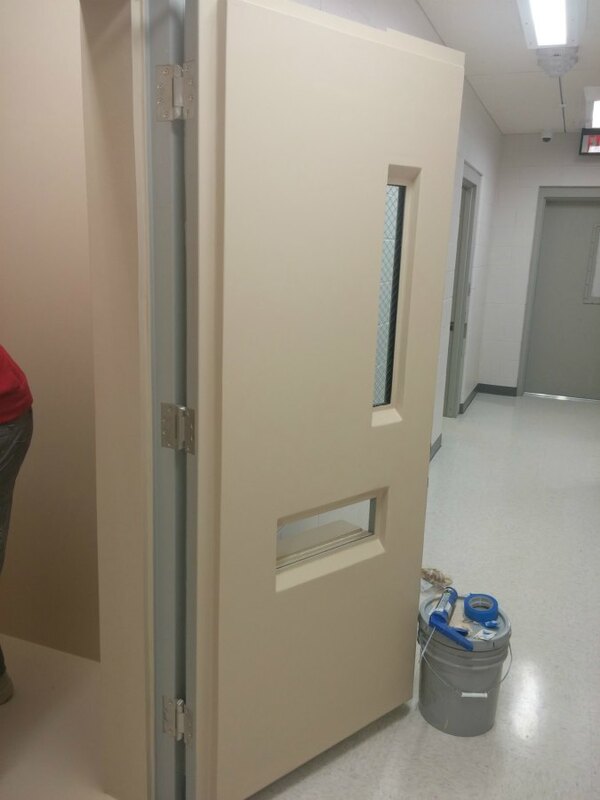 We would love the opportunity to discuss how a padded safety room from Gold Medal Safety Padding could be the right option for your healthcare facility. For more details on how we can help healthcare or other industries with safety padding, please contact us online or by phone at 239-303-7378 (USA), or 416-572-7753 (Canada).